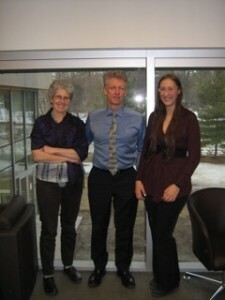 On March 24, 2016 Dr. James Orbinski, former international president of Médecins Sans Frontières, scholar of global health and practicing physician was invited by Carleton University’s Bachelor of Global and International Studies (BGInS) to present the keynote lecture for the official launch of the program. Dr. Chris Brown, director of BGInS, kindly arranged for a meeting with Orbinski before the lecture with CNHH members Dr. Dominique Marshall and PhD candidates Christine Chisholm and Will Tait from Carleton’s Department of History. 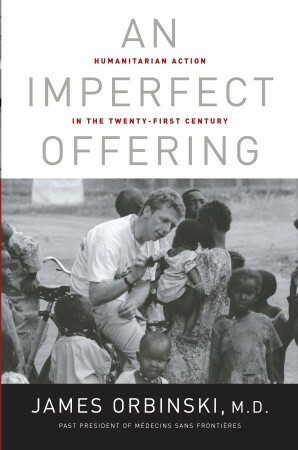 Given Orbinski’s extensive experience and participation in humanitarian efforts we were spoiled for choice as far as topics to explore but were limited in the amount of time we could spend with him. The conversation then, centered on two broad themes around the funding of NGOs and issues of neutrality, both of these concerns intersected over the course of the conversation. Frequently commenting on our view over the Rideau River rapids Orbinski used the landscape of the spring thaw and the churning energy of the rapids as an analogy when discussing the internal debates in NGOs when addressing both of these themes. Beginning with a question on the influence of state funding of organizations like MSF, he stressed that his views were his own and not those of the NGO per se. Using MSF’s refusal to accept funding from NATO countries during the Kosovo conflict in 1999 Orbinski related that MSF has been a recipient of substantial funds from governments in the past but NGOs must be willing to “walk away” from these sources if the specific politics of a situation dictate. He stressed the difference between what he sees as the emergence of NGO implementers of state policy and NGOs who are anchored in civil society and who are still willing to challenge state and transnational actors, sometimes to the financial detriment of the NGOs involved. As part of this he underscored the need for vigilance on the part of NGOs who accept government support as an ongoing process that needs continued attention noting that private foundations and institutions are increasingly earmarking or attempting to assign funding with caveats. Sitting in this academic environment it was natural to reflect on the role of academia in addressing humanitarian questions. Orbinski, responding to a question about his changing understanding of neutrality throughout his career, emphasized the value of the culture of debate in humanitarian organizations. Debate was, after all, essential in changing and shaping his own understanding of the humanitarian efforts he was involved in. This ties to one of the points Orbinski has often emphasized: silence is not neutrality, even if silence has been misrepresented as an essential condition for humanitarian action. MSF, Orbinski emphasized, is of course not a debating society, and it is not an academic institution, because it has to make choices and humanitarian workers need to act on those choices however imperfect they are. Nonetheless, debate is essential to the organization. In comparison he described academic debates as “floating clouds of ionic contention.” But these clouds are important, as he acknowledged. Academia produces important questions that need to be addressed to produce new knowledge. It was the impression of one of the interviewers that academic debate may help address silences alongside humanitarians. As Orbinski said “I am not saying the whole world should become MSF, it shouldn’t,” although humanitarian organizations such as MSF play an important role today, as they did in the past. Christine Chisholm and Will Tait are both PhD Candidates in the Department of History, Carleton Unversity, and members of the CNHH. Further information about the Bachelor of Global and International Studies may be found here.